Capturing the attention of your audience can be a daunting task, especially with the amount of visual pollution that clouds the scenery. Trade shows are a key example of the type of setting where it pays to set yourself apart. KDM can develop a high impact and visually stunning presence at your next trade event. Our ability to deliver results that capture attention with a mere glance is unmatched. We’ll be sure your display tells not only who you are and what you do, but more importantly, what you do for your customer. We’ll make sure it commands attention—and action—that will stop drive-by prospects right in their tracks. 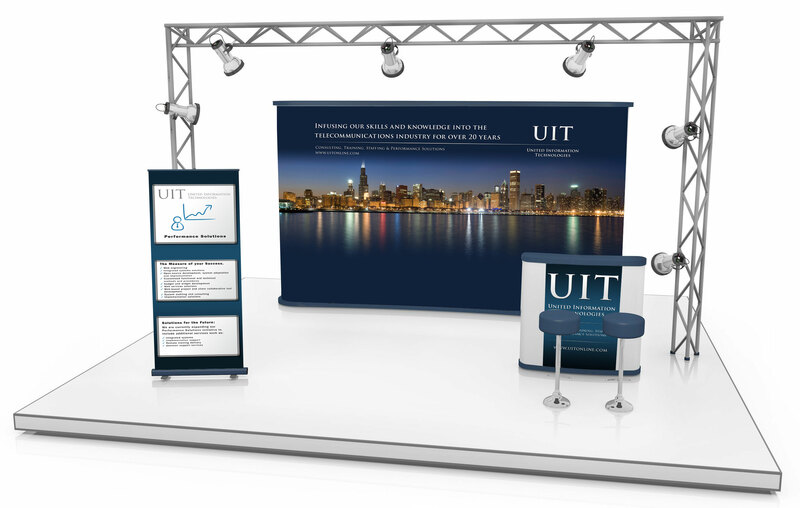 Our comprehensive exhibit and display development services don’t stop at the booth and signage design. It also includes: Brochures and sales kits, Media kits, Interactive video presentations, Pre- and post-show e-Blast campaigns,Sales sheets, show promotion handouts, and premium item giveaways. The whole package that makes you a showoff at your next show.